Viva Oz Vegas, casting call teasers, oh my! If you’re looking to indulge a secret fantasy by becoming a professional ecdysiast (or someone that propels their shows along), this spring is bursting with tantalizing opportunities. Stripped Screw recently were on the hunt for a possible new member, and just this week two new casting calls have been posted. The Atomic Bombshells dropped a teaser about an upcoming open audition on April 10 HERE. Calling all hosts, comedians, drag royalty, barkers, storytellers, long-winded fancy ladies… SSB is looking for new hosts! We’ve had a number of amazing and talented guest hosts since we lost our beloved Nicole Lucas to Austin, TX, and we are looking to see what else Seattle has to offer!! On March 24th and 31st, we will be auditioning potential hosts DURING OUR SHOW!!! We will audition 3 per night, with each host having the opportunity to host 1 of the 3 sets in our show! Please email miss.polly.wood@gmail.com for more info if you are interested. 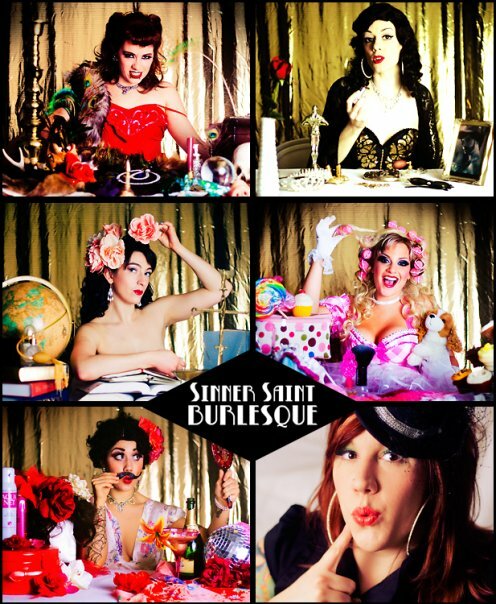 Please let us know: Your preferred night to host, your performance background, and what you think you would bring to Sinner Saint Burlesque, Seattle’s longest running weekly burlesque show! Can Can’s over-the-top multi-media extravaganza is back with a twist – or maybe we should say “a twist and shout”! 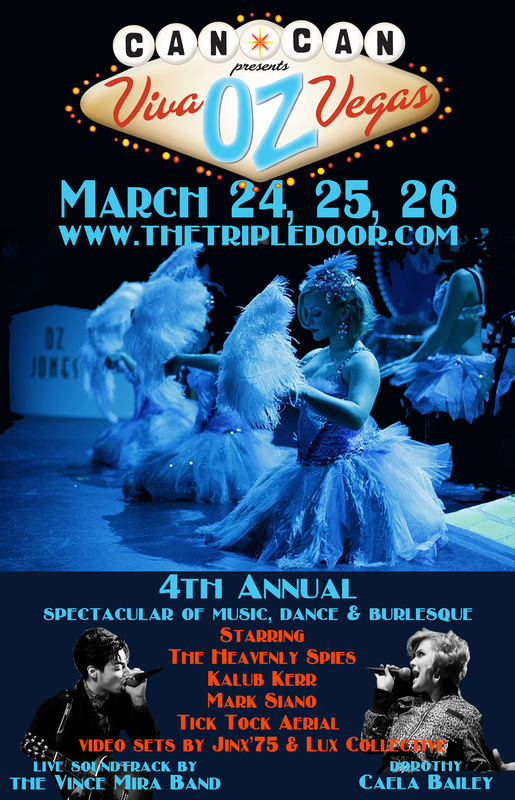 From March 24-26, The Triple Door will be a hunk of burning love, as the yellow brick road and the Vegas strip merge into a superhighway of high-octane entertainment! This year’s presentation features the musical mega-talents of the Vince Mira Band backing an all-star cast including The Heavenly Spies, in-air acrobatics with aerial trio Tick Tock, vocalists Caela Bailey (Moisture Festival), Kalub Kerr (Pastor Kalub and the Witness) and Mark Siano (Soft Rock/Freedom Dancers), multi-media video-mapped sets by T.J. Davis (Lux Collective) and Jonathan Womack, and choreographer Fae Phalen (Viva Oz Vegas, Mata Hari, Plastique, Kiss Kiss Bang Bang). Only in the Emerald City could the Wiz meet the King! Follow along as the yellow brick road leads Dorothy into the temptations of Sin City, where her encounters find her at Casino Oz! Marvel as other familiar characters get not-so-familiar makeovers! Thrill to an evening full of nostalgic music, Las Vegas-style showgirls, aerial and floor acrobatics, comedy, game show glitz, and a full deck of surprises you won’t soon forget. Get tickets HERE. The Moisture Festival features a stellar lineup of amazing burlesque & aerial artists from March 17-April 10…check the Moisture Festival burlesque artist listing HERE for information and tickets. ~ by angrytruffle on 03/23/2011. We saw “Viva Oz Vegas” last night and it was fantastic! I loved the solid entertainment, the live music, the visuals, the talented singers! The show was full of solid, entertaining and humorous story telling. I always love me some Heavenly Spies. Vince Mira is amazing also…and Caela Bailey? That girl’s got some pipes on her, doesn’t she?